If you haven't already, come join us in celebrating COCA's third birthday at RWS! 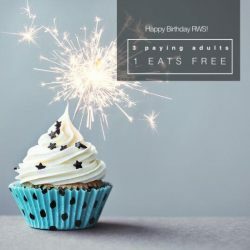 For this month only, one person gets to eat for FREE with every three paying adults. Now isn't that an occasion for celebration? NSmen, thank you for keeping us safe. 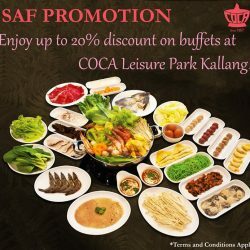 Recharge with a good and belly-pleasing meal at COCA Kallang that goes easy on your wallet with a 20% discount off lunch buffet and 10% discount off dinner buffet. Simply flash your SAFRA or 11B card to enjoy this great deal! 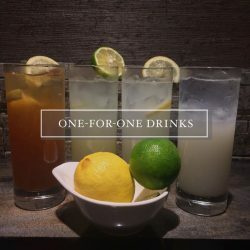 Raise your glass to one-for-one drinks at Coca Singapore. Available till 30 June.